Some technology firms, like Amazon, will pay employees to leave if they don’t feel they’re a good fit with the company. The program, called Pay To Quit and offered to people in the tech giant’s fulfillment centers, works like this: after 1 year of service, the associates can quit if they don’t feel that the company/job is a good place for them, and be paid $2,000. But if they take the offer, they can never work at Amazon again. The offer is made again for the next 3 years, increasing by $1,000 each year. So employees who choose to quit Amazon could leave at the end of 4 years with $5,000. Sound like a very counter-intuitive business strategy? Perhaps not. According to Amazon, very few employees say yes to Pay To Quit. In addition, many observers think programs like this actually function very well as an engagement and retention method. In fact, the program exists in companies other than Amazon. Amazon picked it up from giant e-tailer Zappos, which had a similar program that applied only to the first few weeks of employment, and beefed it up. Programs like Pay to Quit actually increase employee engagement and retention. It seems that like this might break engagement and retention because it encourages workers to take the money and run. So why does it actually strengthen most measures? Because, say human resources experts, it provokes employees into thinking whether they value the company and their relationship with it or not. By offering them an option to leave, companies give their employees a period where they have to decide to stay. Once they decide, they psychologically recommit to the institution. And once they’ve recommitted, they are more engaged. Studies have shown that employees who are more engaged are over 20% more productive than employees who are not. Plus, if employees become dissatisfied they often become disengaged, which can lead to less productivity. Some surveys believe that the drop in productivity caused by non-engagement can cost companies more than one-third of those employee’s salaries. So not only do employees who recommit tend to become more engaged and more productive, the business leadership technique of Pay To Quit also has the potential to weed out the disengaged. Replacing employees costs companies money as well, but at least with a Pay To Quit or similar program companies can assess and plan for annual attrition – which, as we said up top, is low. A whopping 78% of business leaders rate retention and engagement as urgent or important, according to Forbes per the 2014 Deloitte Global Human Capital Trends research. 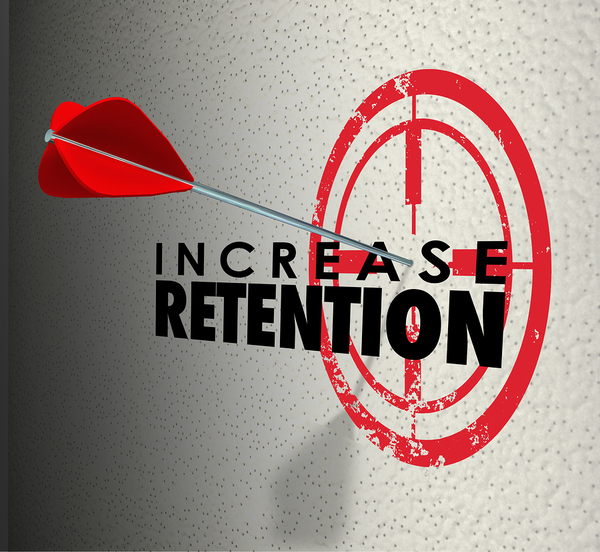 Retention reduces any potential gaps in productivity, and engagement spurs productivity, so it’s easy to see why. Companies are routinely urged to actively plan to increase engagement and retention, through competitive pay and benefits, promotional paths, and programs to show appreciation for employees. So it’s highly interesting that a program that doesn’t seem to overtly do any of these things works as a method of fostering engagement and retention as well.